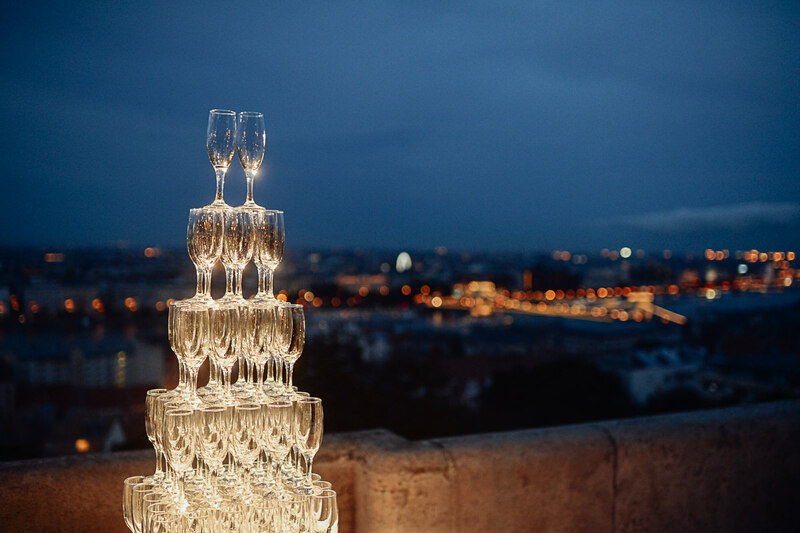 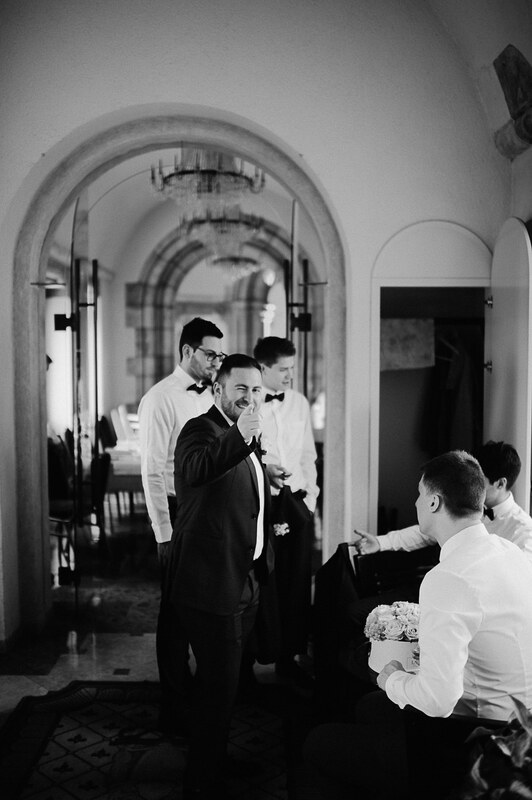 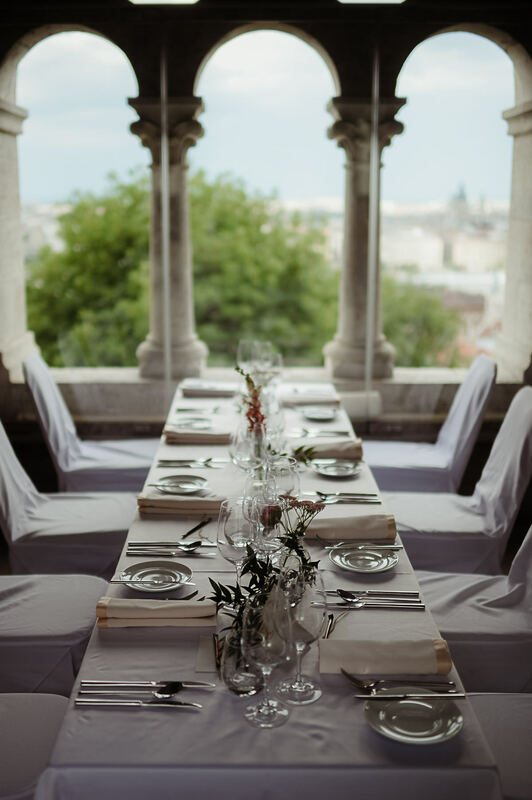 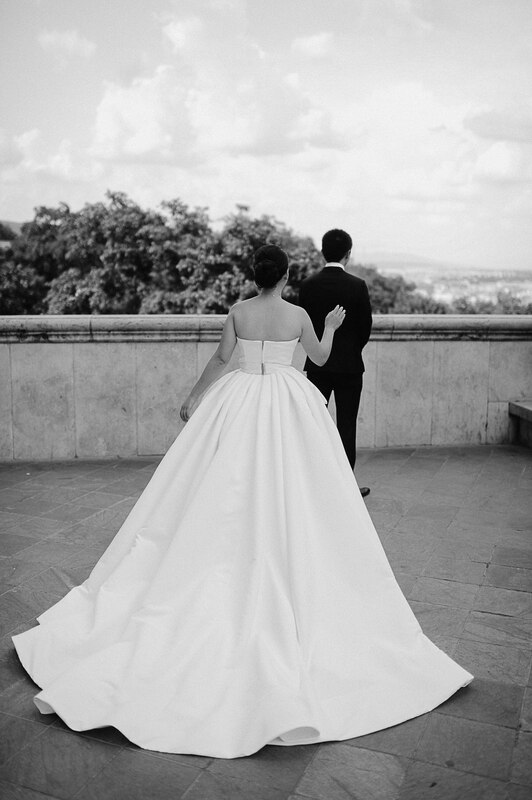 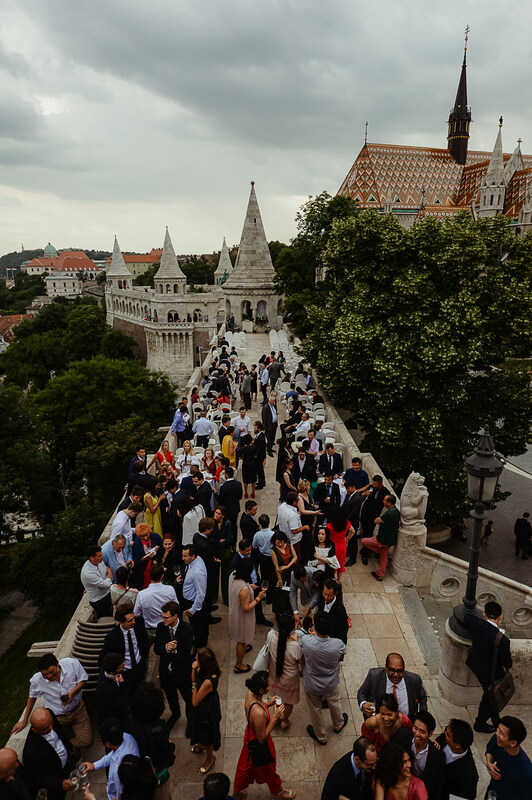 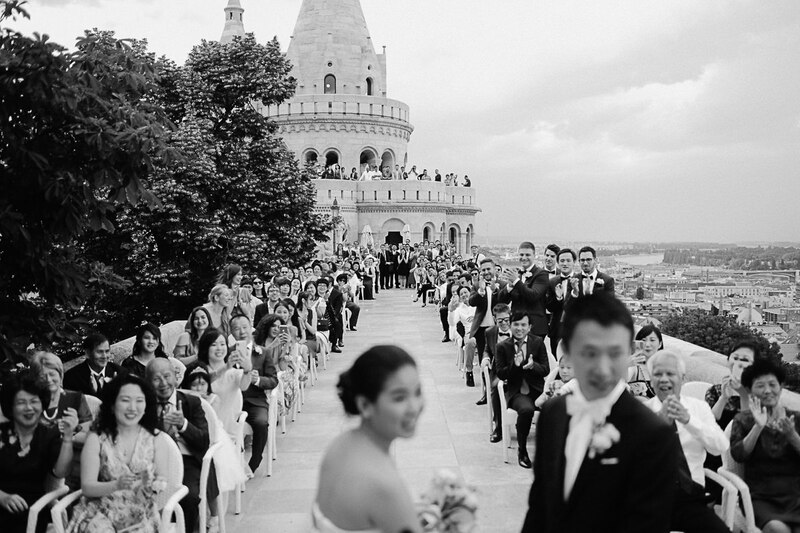 A wedding at Fisherman’s Bastion is a dream for anyone who’s ever been to Budapest. 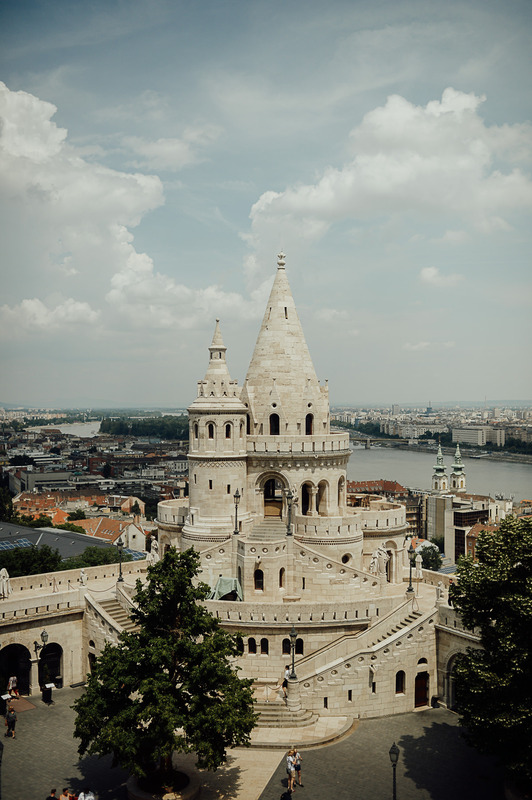 Fisherman’s Bastion is the most popular and probably one of the most special spots in Budapest. 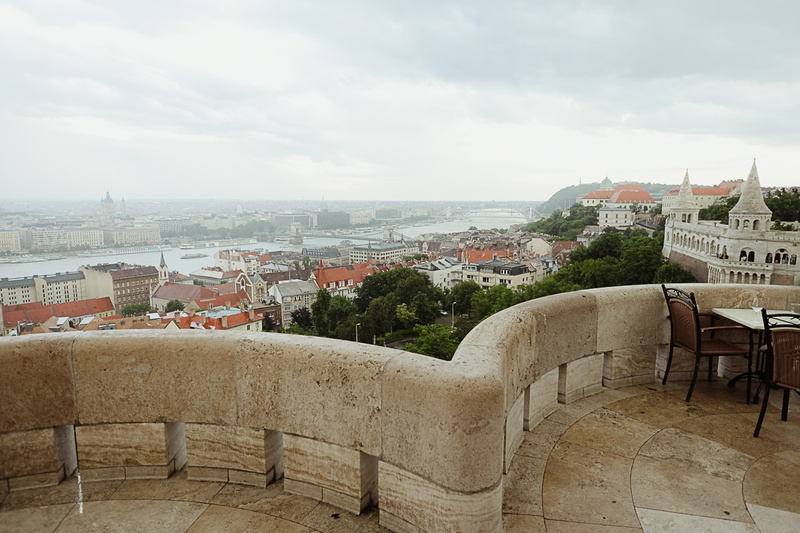 It is on the Buda side, on top of a hill. 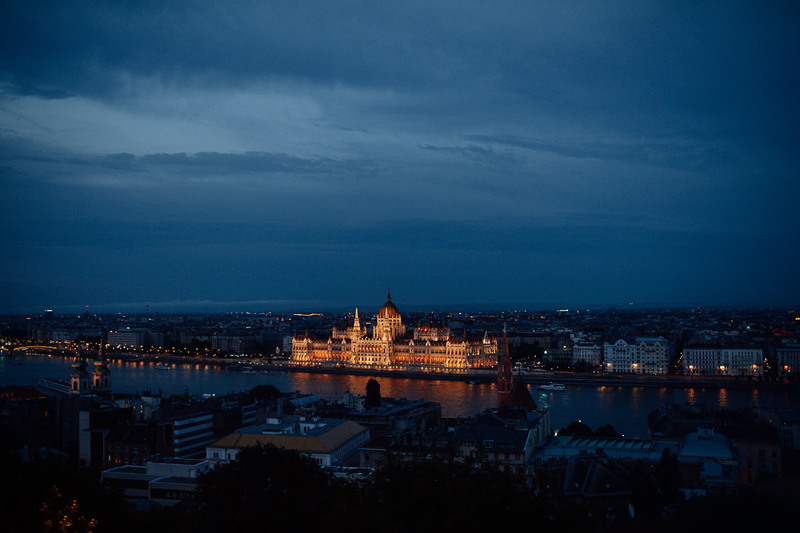 It is part of the Castle District, the most prominent area in Budapest. 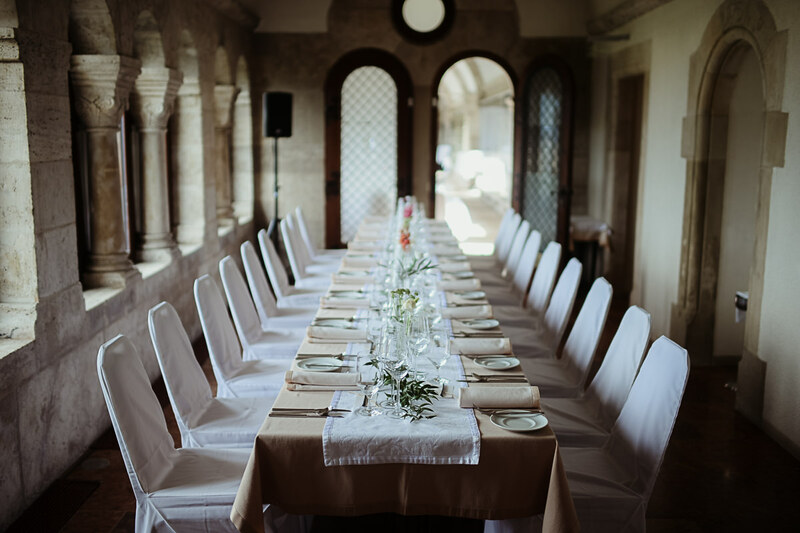 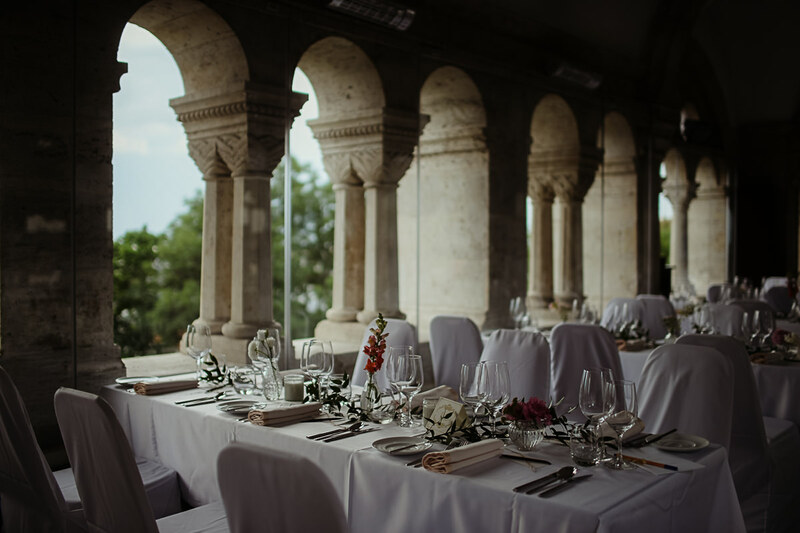 It is also convenient when you organise your wedding here as there are several hotels nearby and one of the most beautiful churches is also just next to the Bastion. 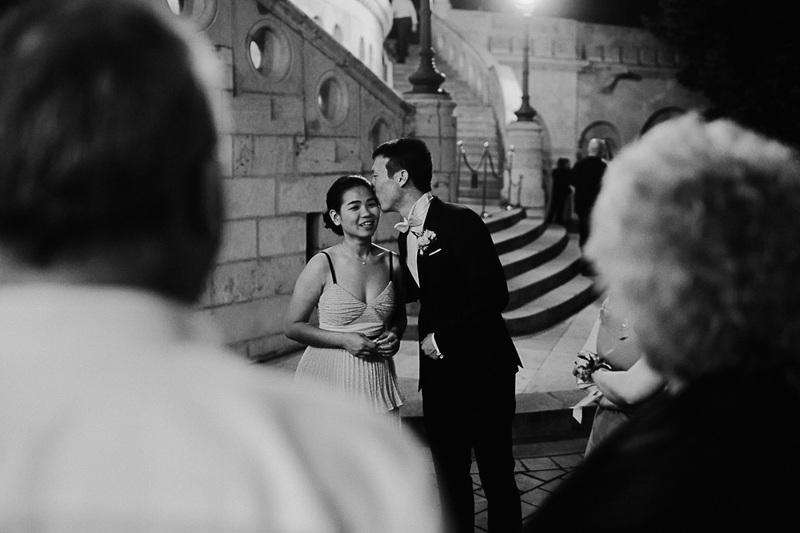 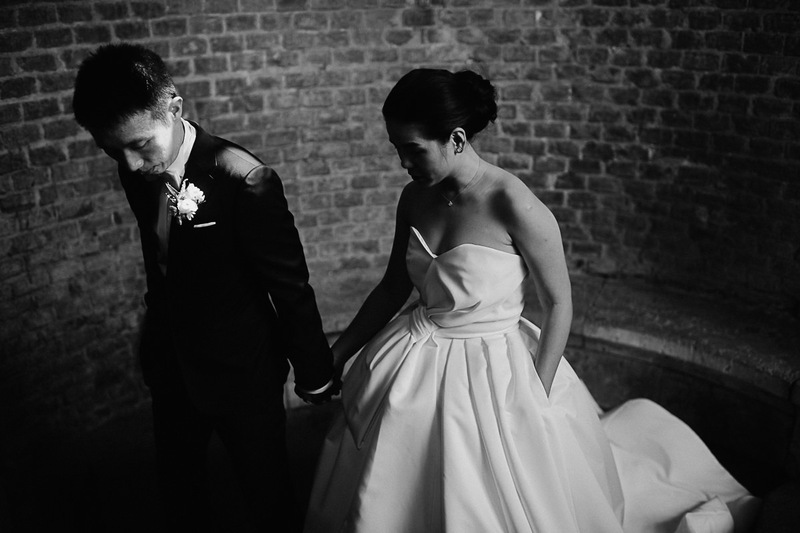 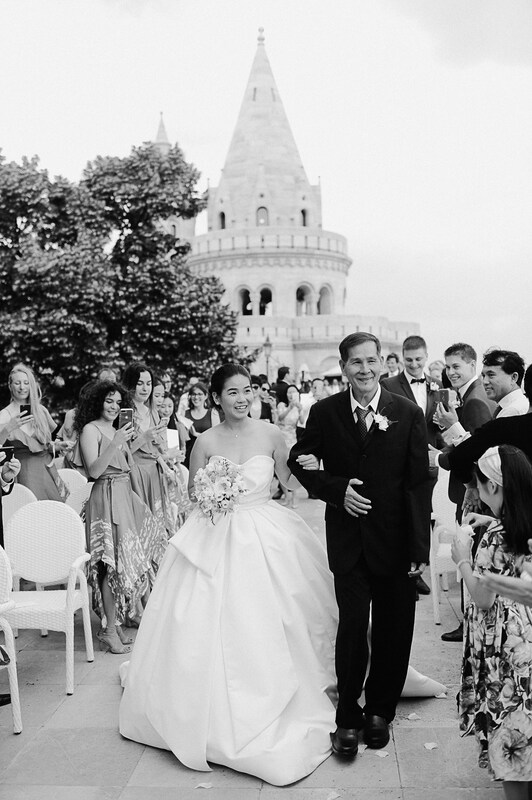 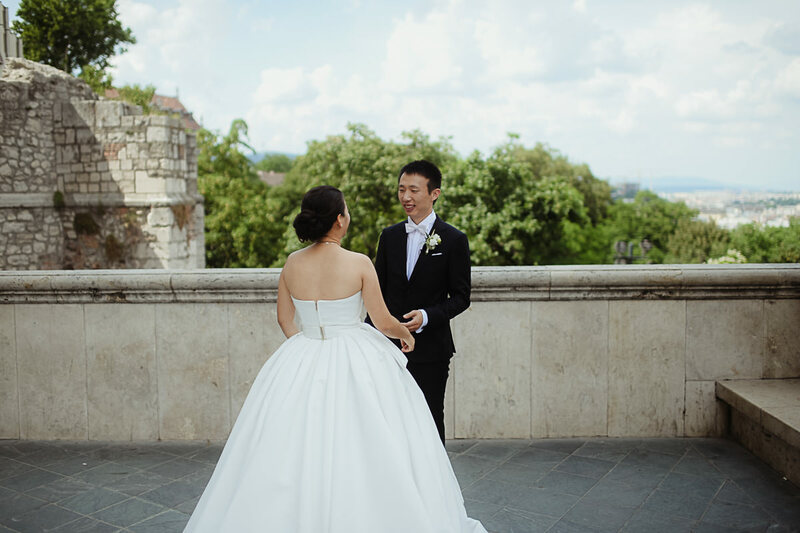 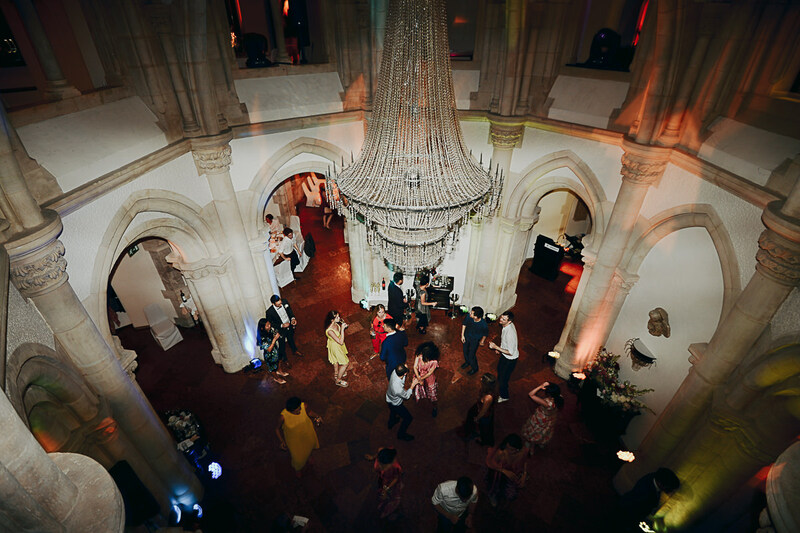 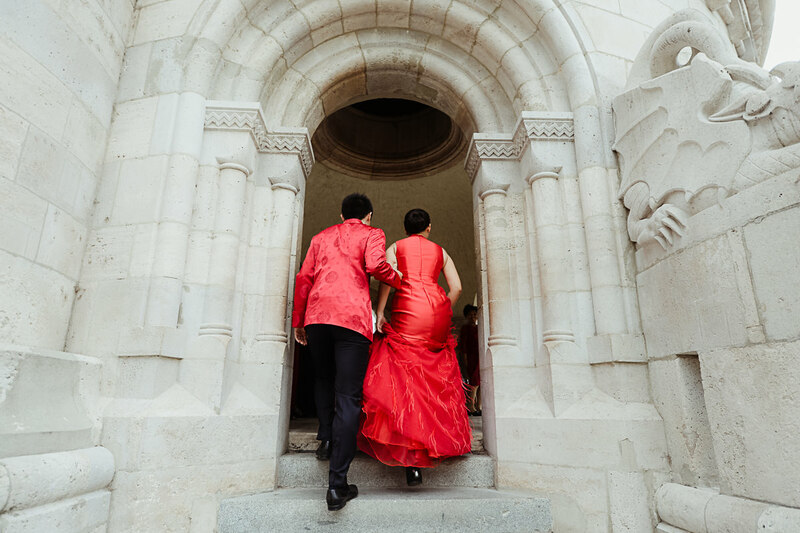 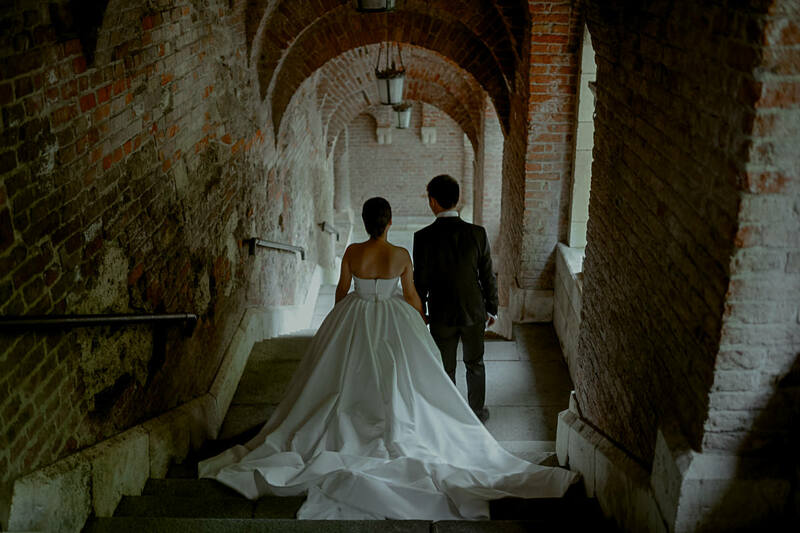 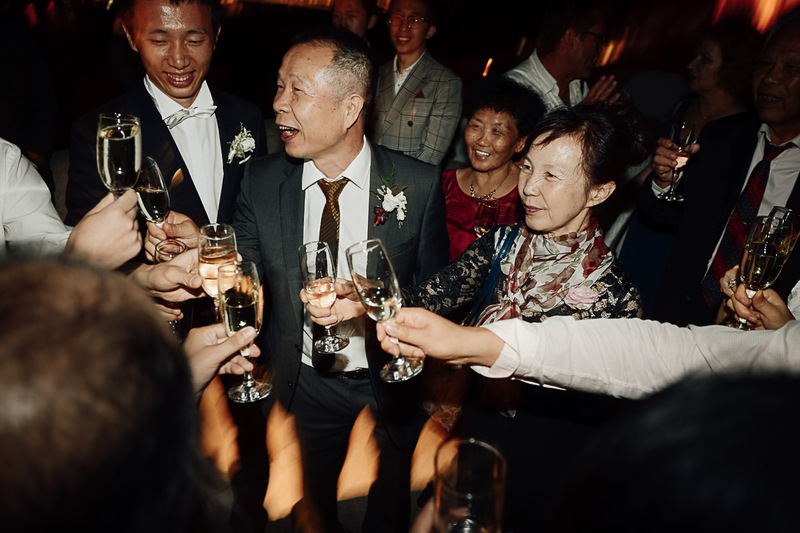 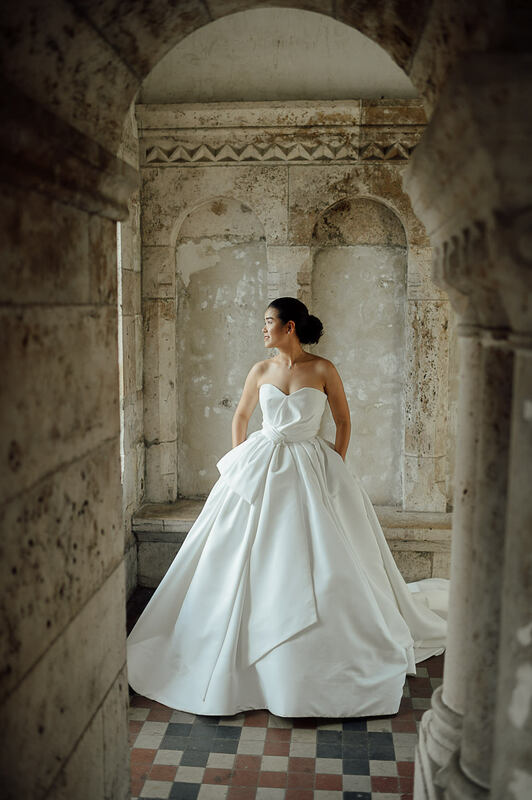 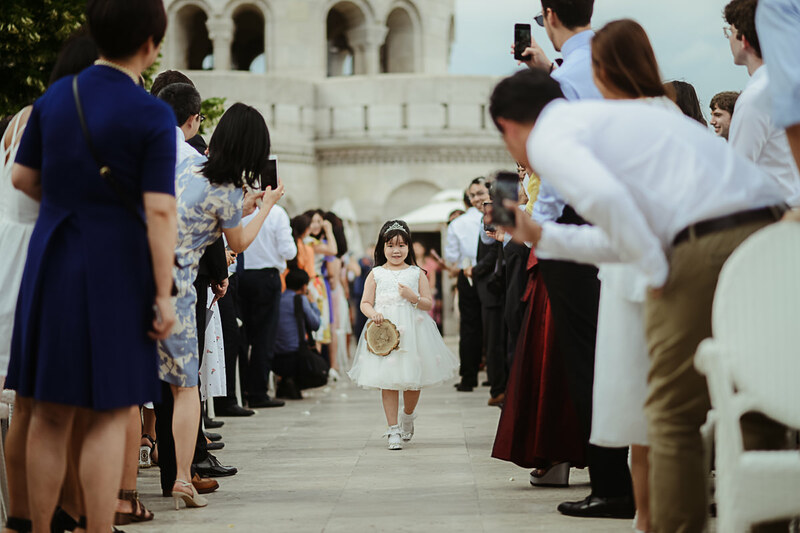 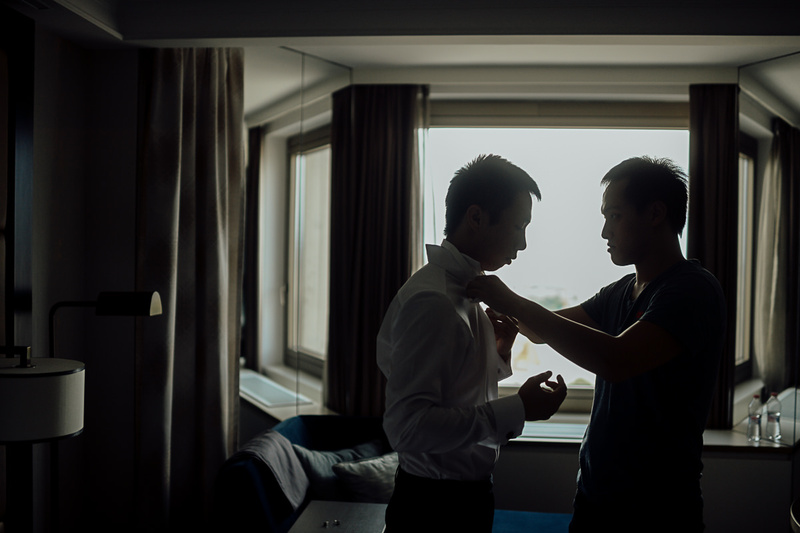 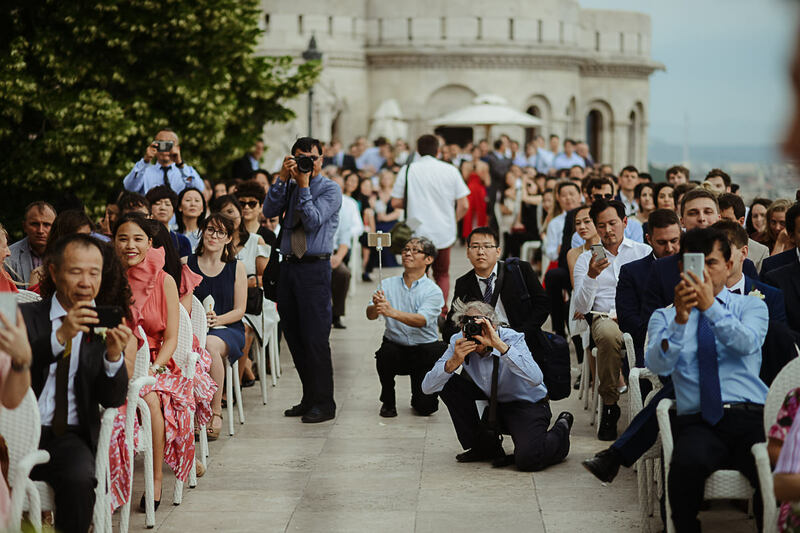 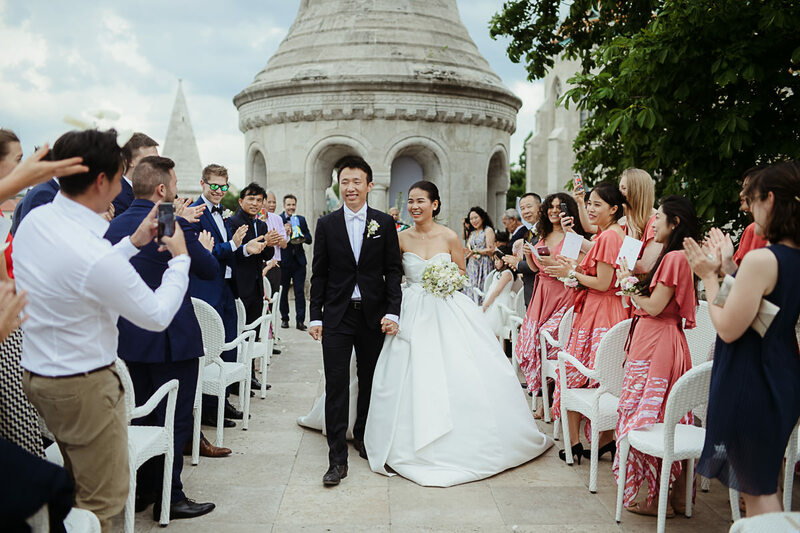 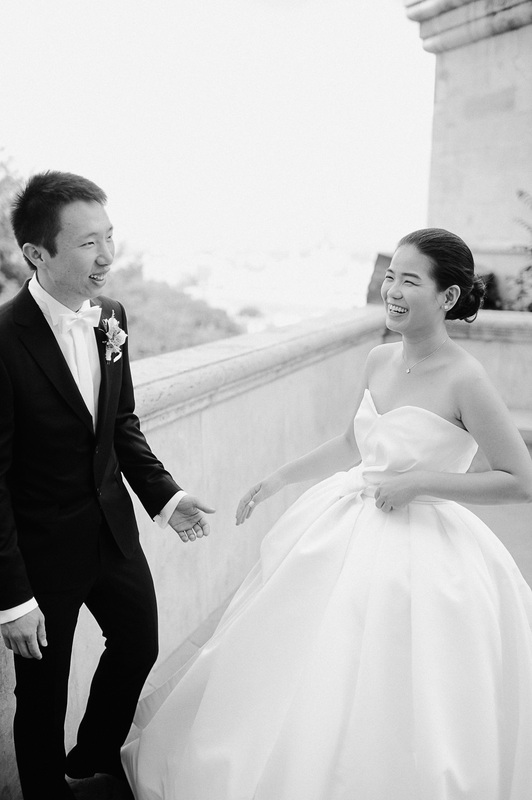 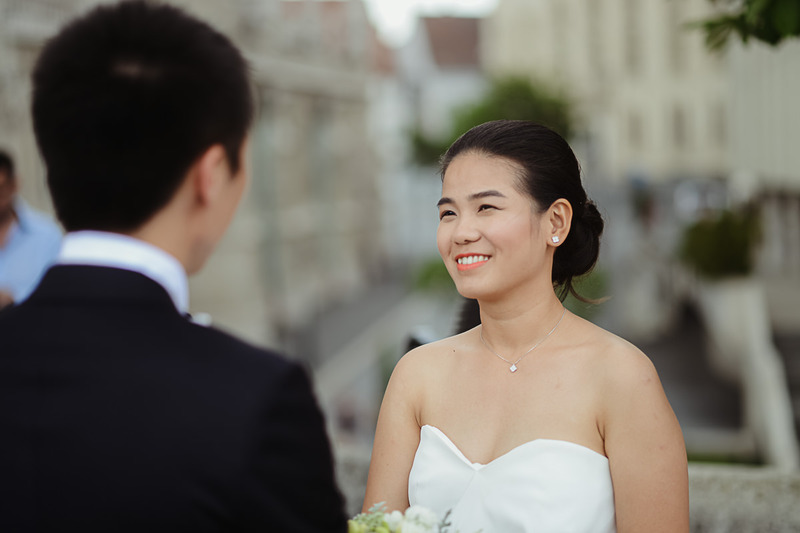 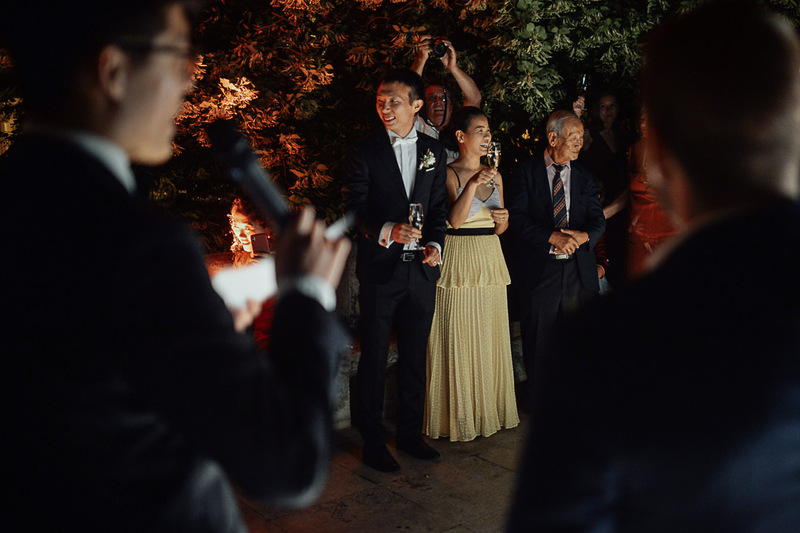 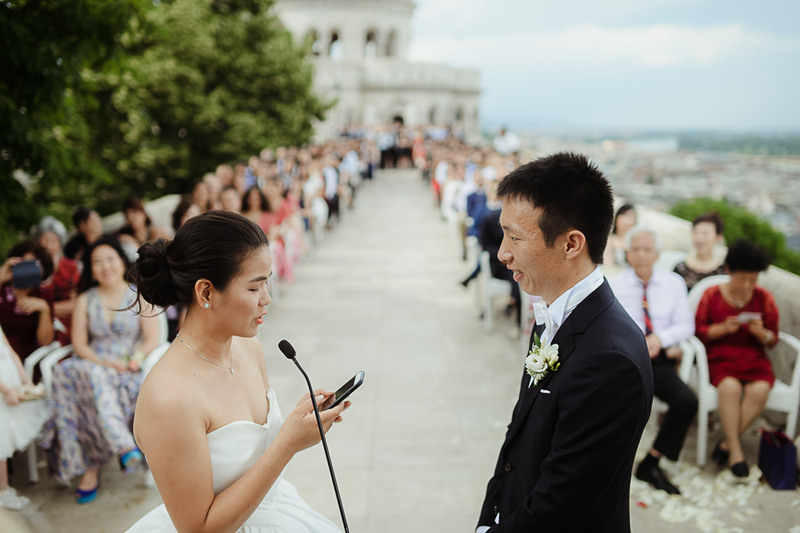 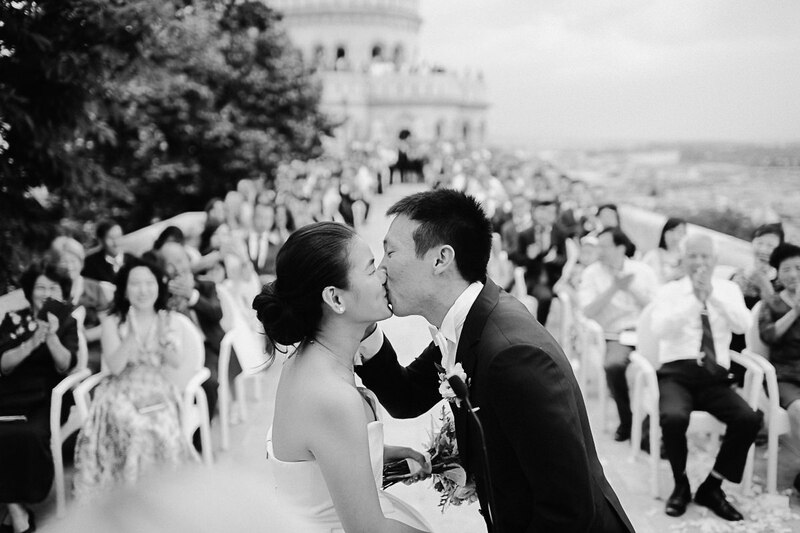 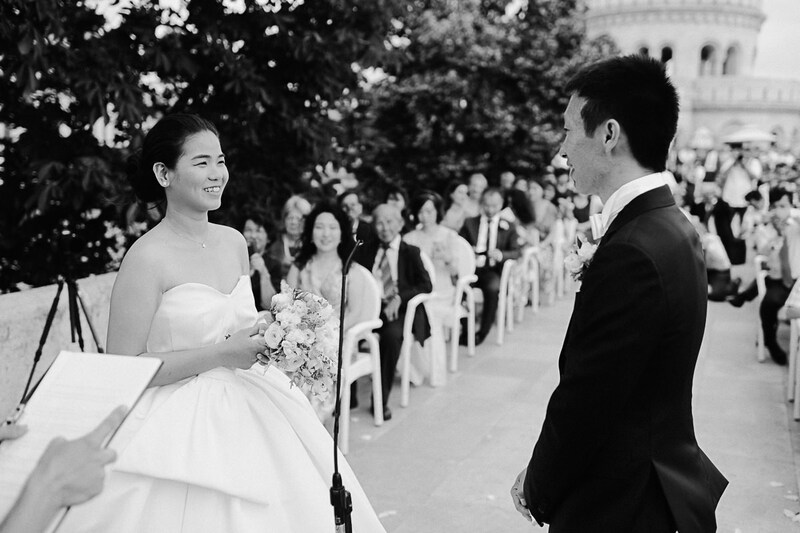 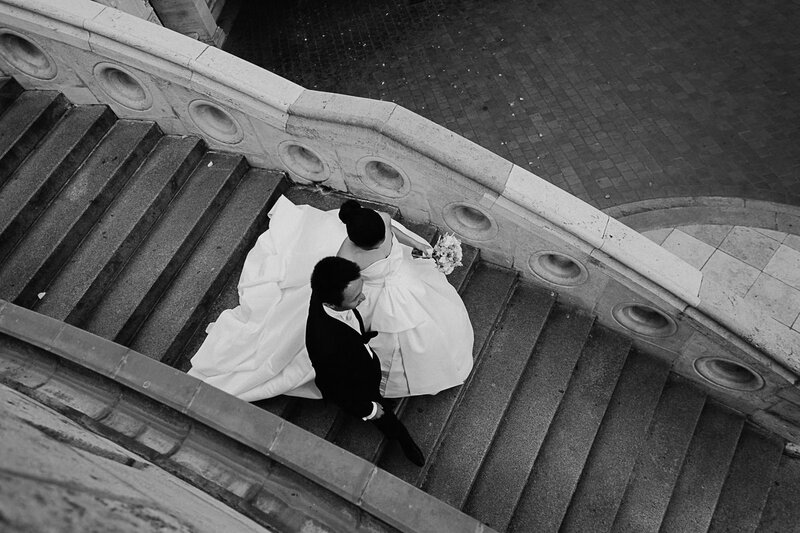 Pei and Zifeng live in Budapest and they chose Fisherman’s Bastion for their wedding venue because they wanted to show their guests the beauty of the city. 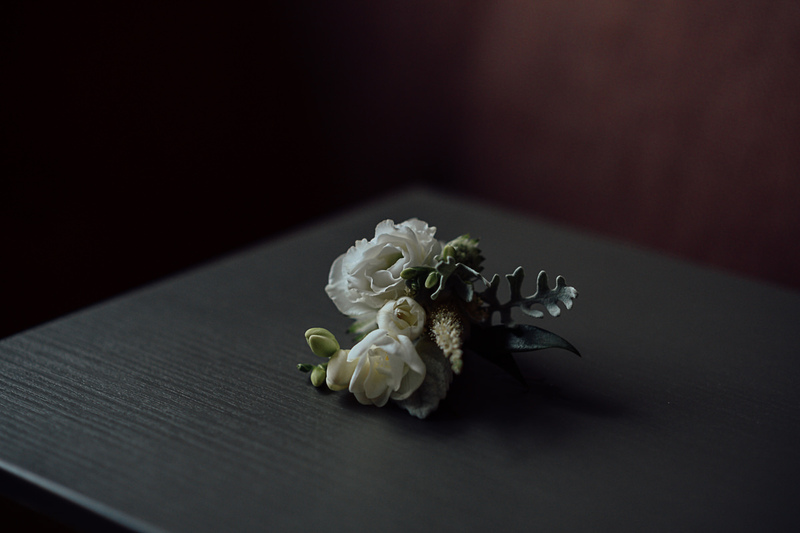 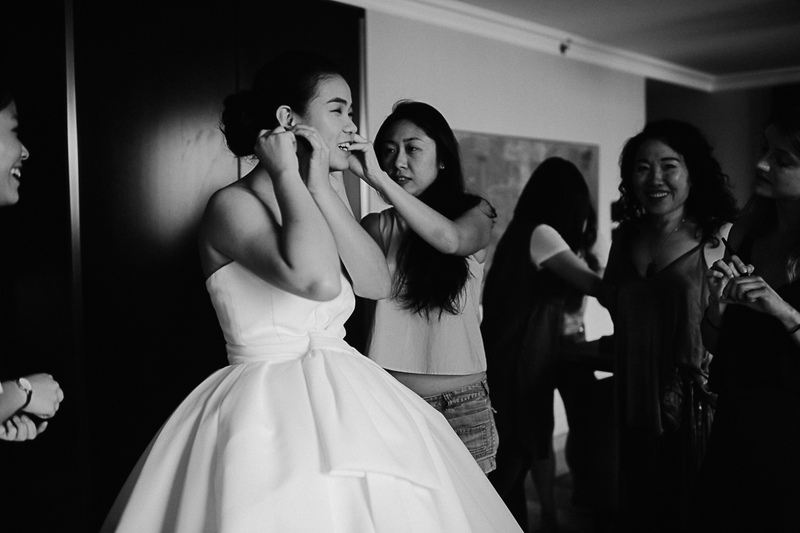 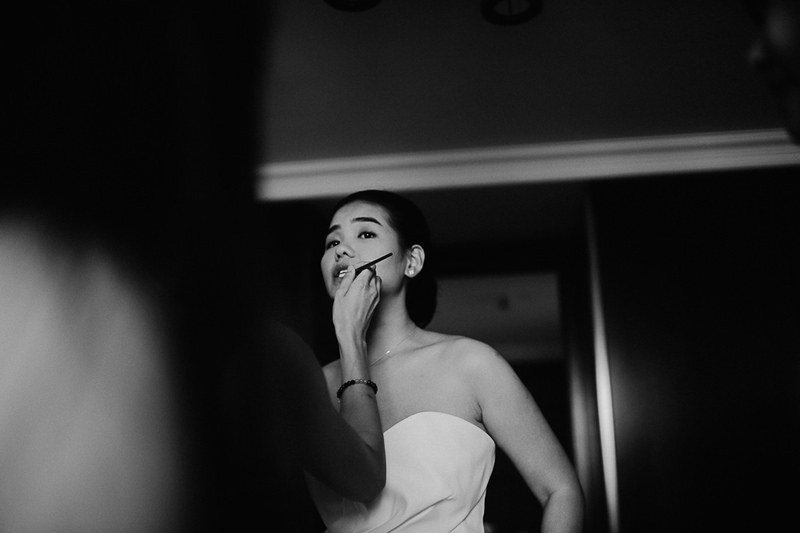 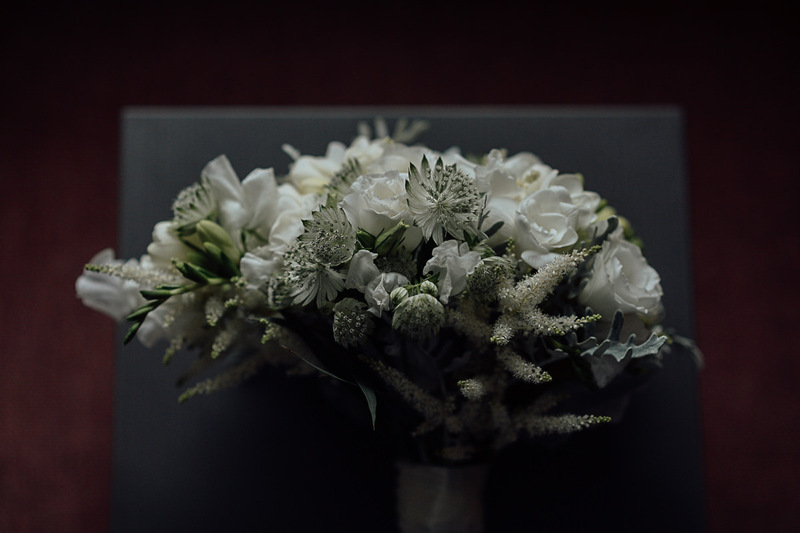 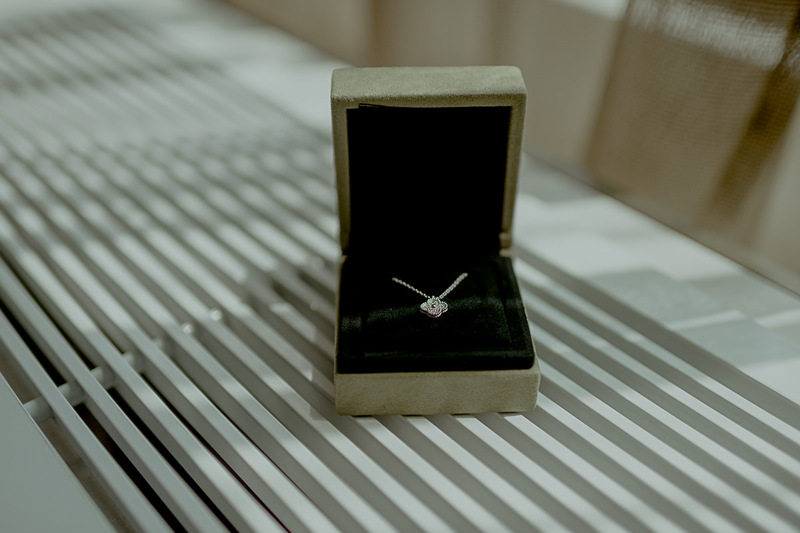 The day started in the Hilton Hotel with bridal preparations. 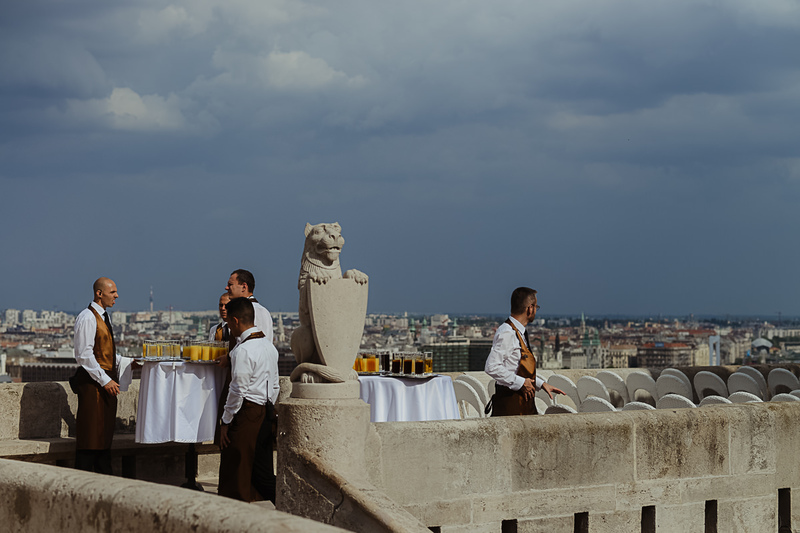 From the hotel room window we could see the top of the Bastion and we could see that the organisers were busy preparing the terrace for the wedding ceremony. 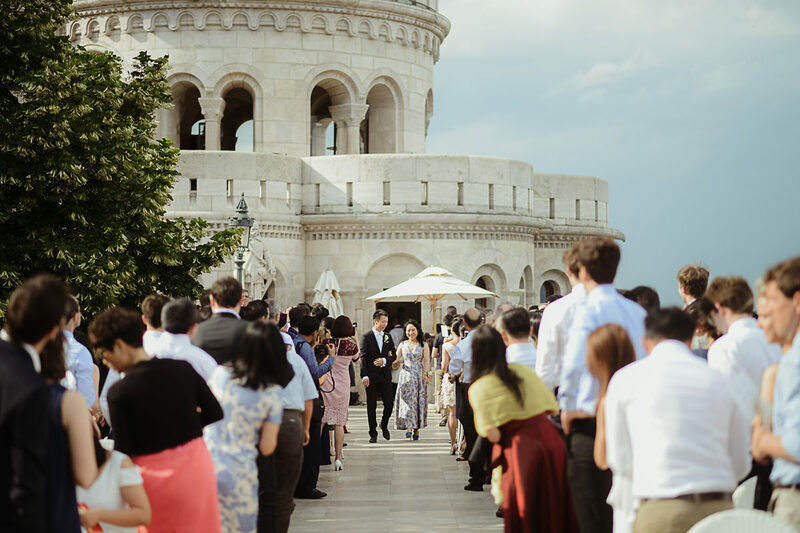 It is hard to imagine a more grandiose location for the wedding ceremony, than the terrace of the Fisherman’s Bastion. 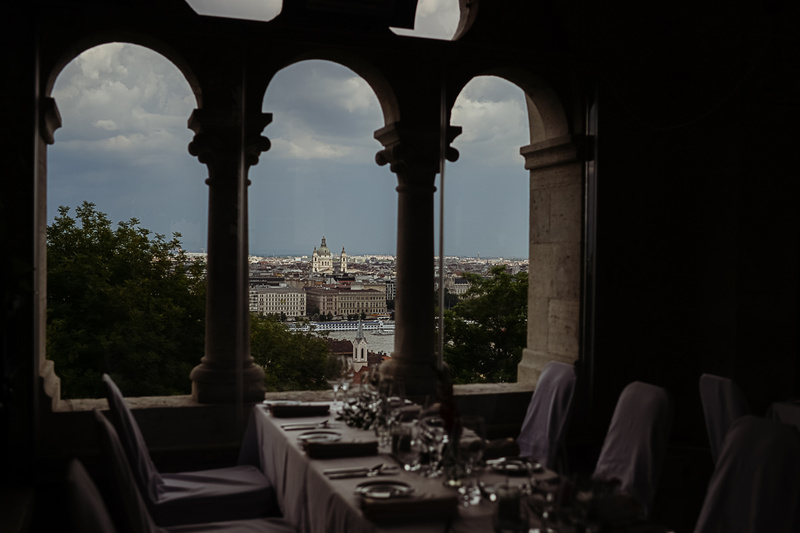 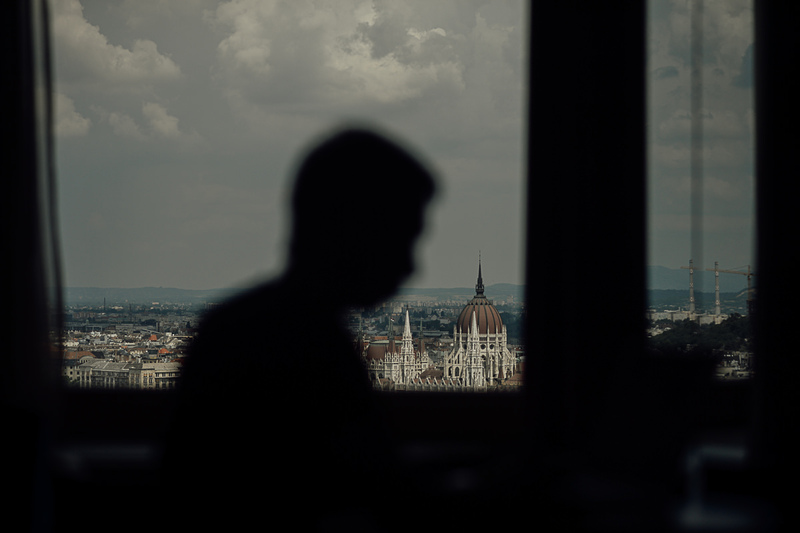 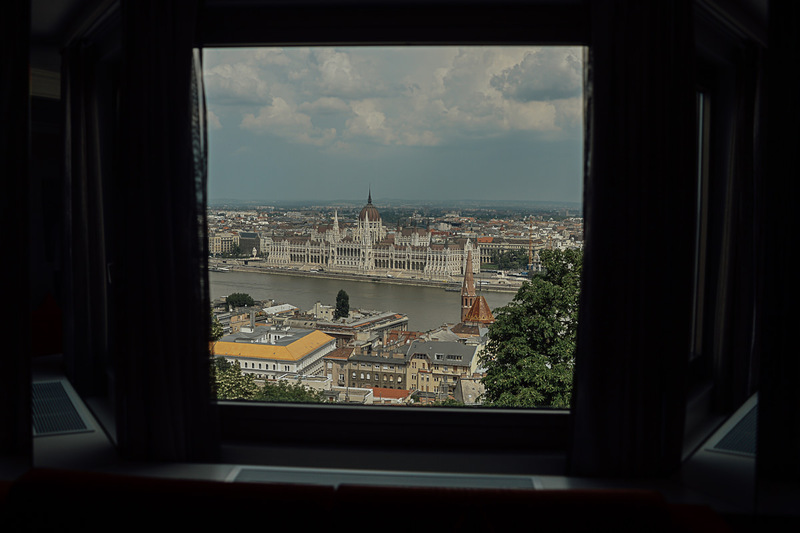 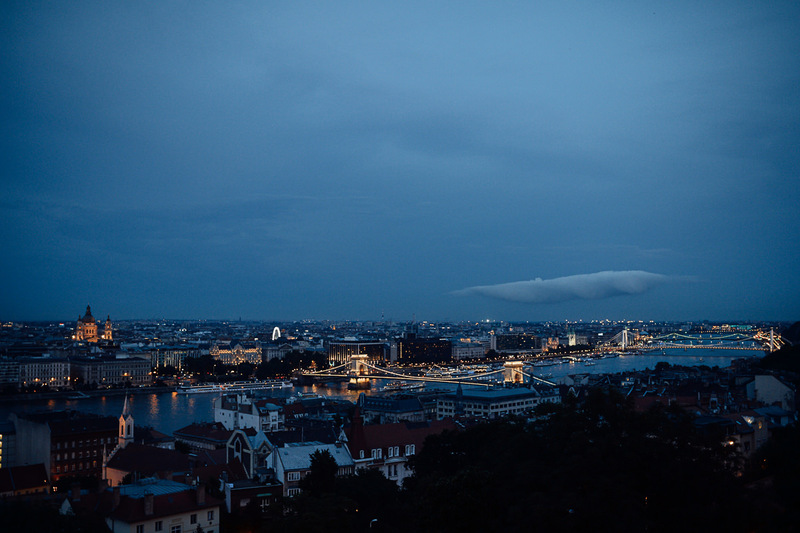 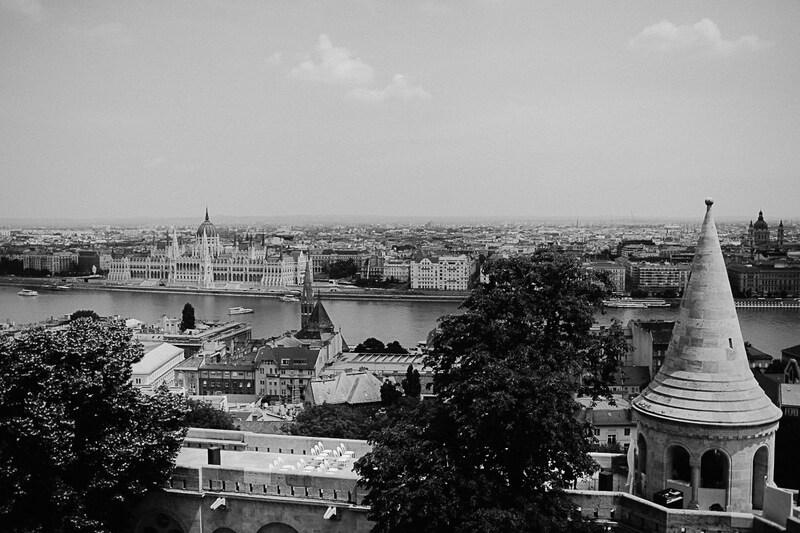 The view from this beautiful location is amazing as you can see all the main sights in Budapest. 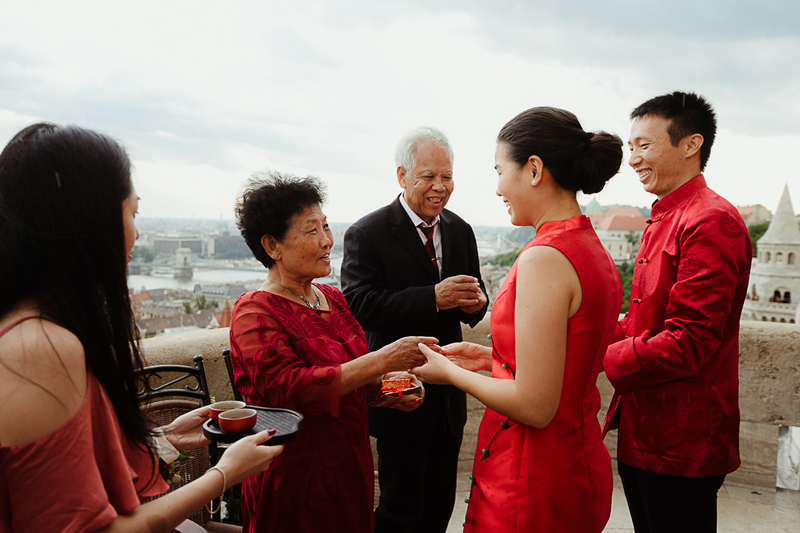 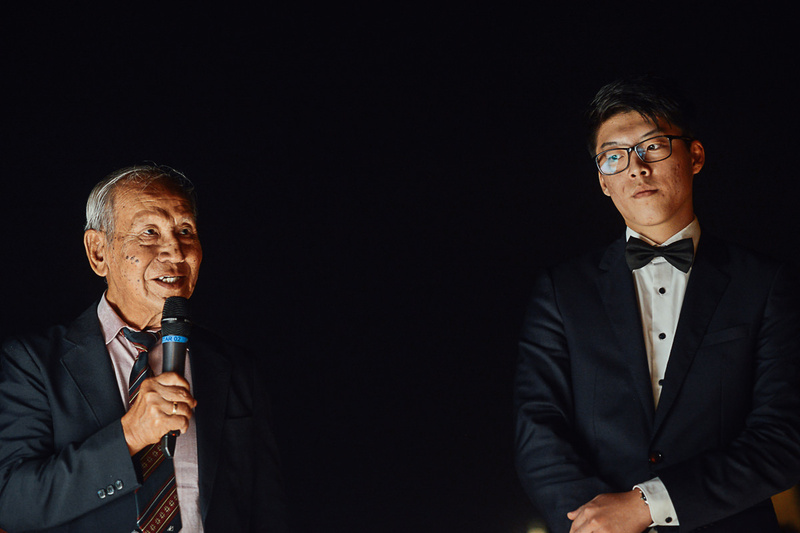 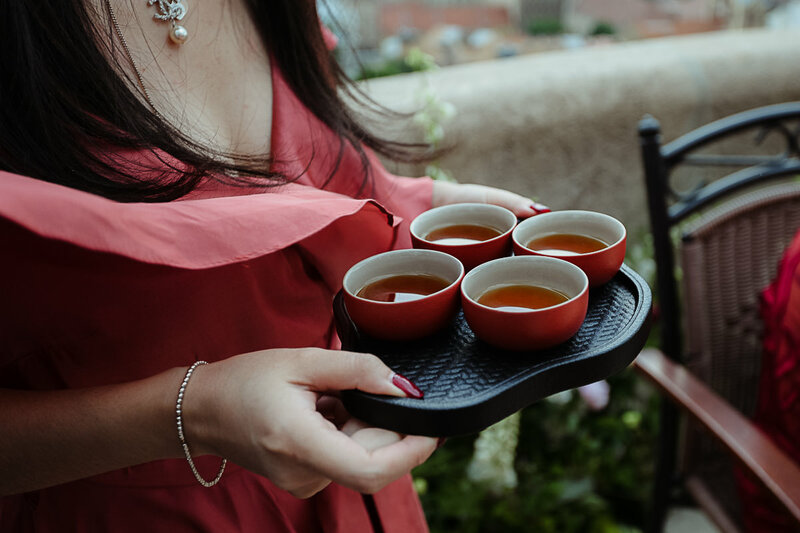 As this was a Chinese wedding they had the traditional Tea Ceremony overlooking the Danube. 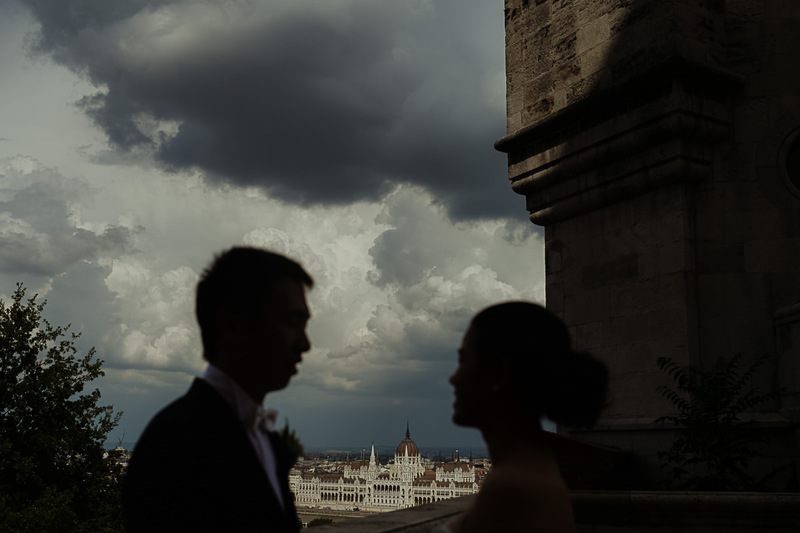 Rain on a wedding day means luck. 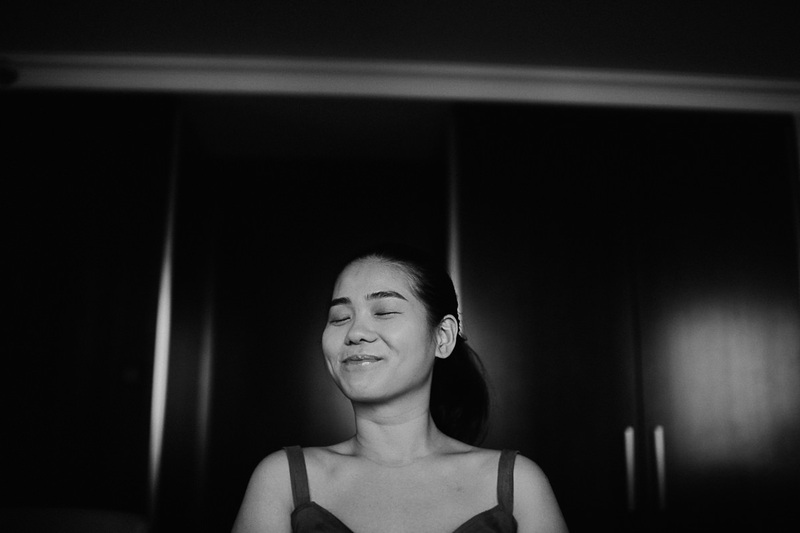 When the storm clears you might get a rainbow too. 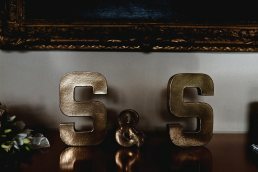 Well, this is exactly what happened. 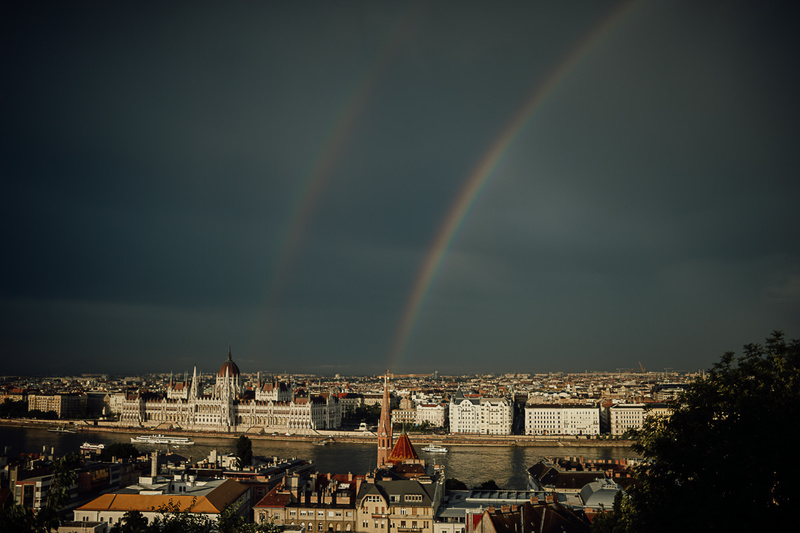 We got a spectacular double rainbow over the River Danube in the setting sun. 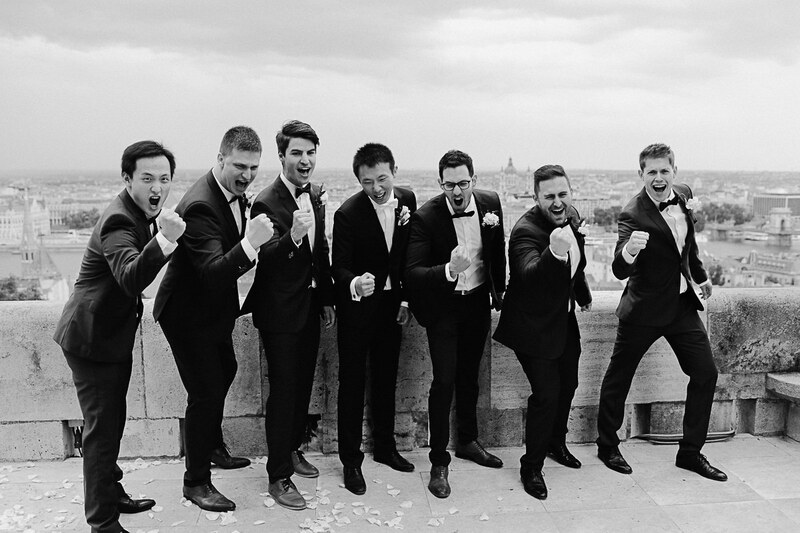 Wedding on a Golf Course from London! 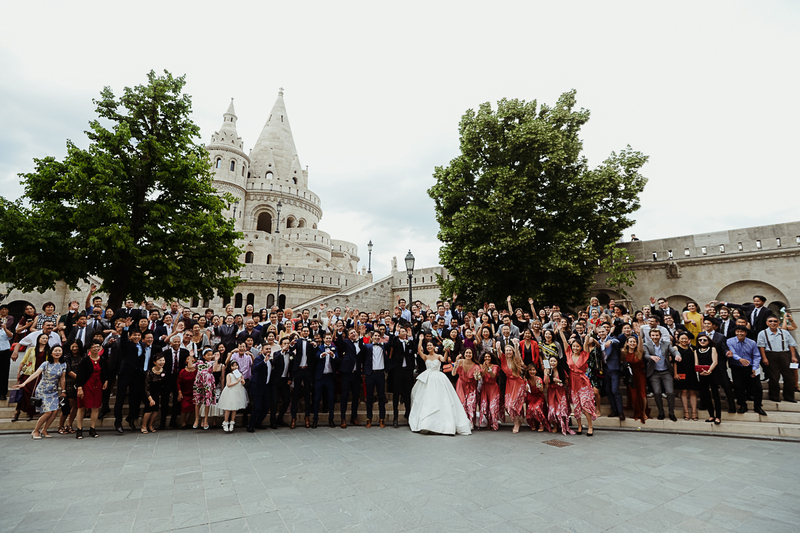 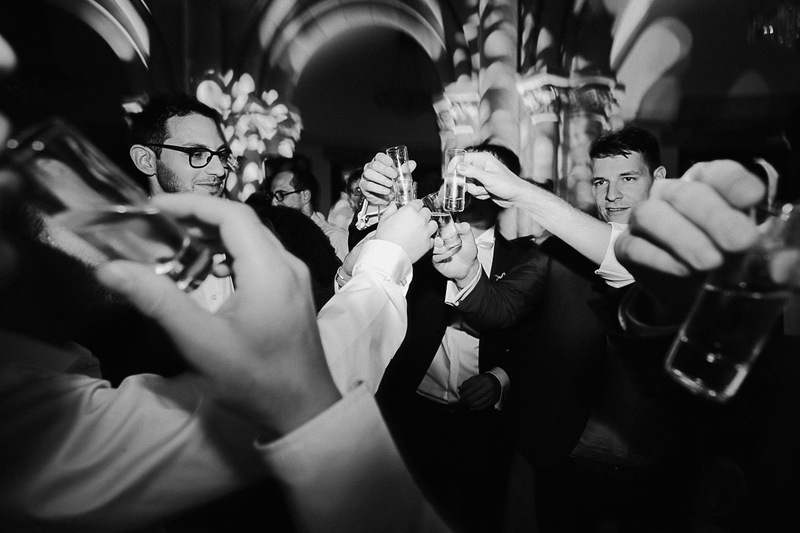 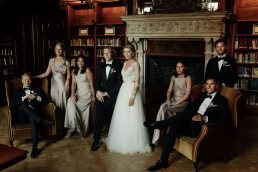 Amazing Swedish wedding in Budapest!